The Digital Game Museum, together with Cogswell Polytechnical College, celebrated Atari's 40th birthday and the centennial of Atari's birthplace, Sunnyvale, California, with a day of classic Atari games, prizes and more! 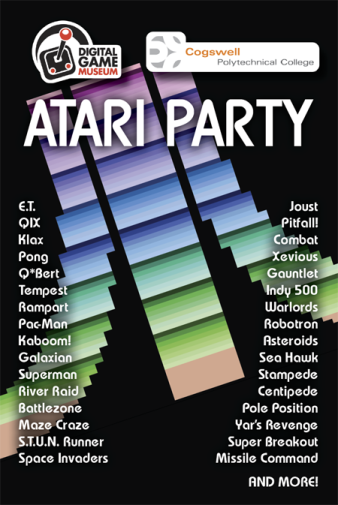 Bill Kendrick, host of the Atari Party in Davis, California, with help from friends, and along with various DGM volunteers, set up numerous game systems (Atari and otherwise) spanning decades of gaming history, and invited the public to come play. 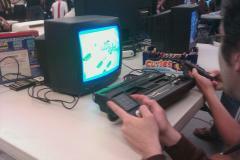 DGM also invited various Atari alumni to come speak, including Al Alcorn!